Save time and money on your travels by sending baggage ahead with My Baggage. Forget about paying excess baggage fees on your flight, or hauling your heavy suitcases across train stations and airports. With My Baggage, you can send bags ahead to your destination so you can spend less time worrying and more time enjoying your travel. 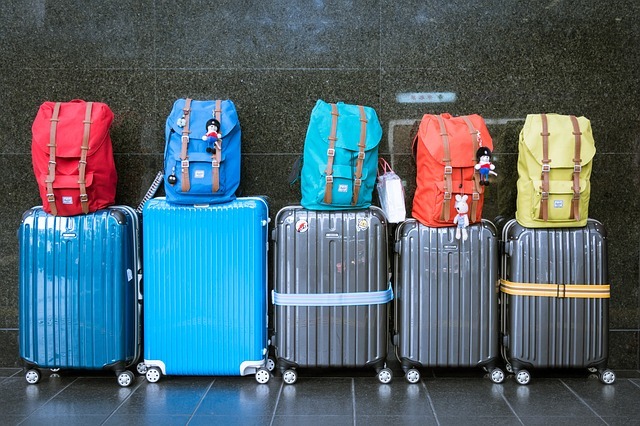 If you’re travelling overseas, whether it be on a holiday, for business purposes, or even to study abroad; surely, it only makes sense to carry your baggage with you on your flight. However, that does mean adhering to your airline’s restrictive baggage weight allowance policy, because if you don’t, you’ll have to cough up extortionate excess baggage fees. Thankfully, My Baggage offers a new approach to transporting your luggage overseas. We strive to remove all of the stress and extortionate costs that are often involved in it. When you choose to send baggage ahead to your destination with My Baggage, you can send a massive 30kg/66lbs per suitcase at fantastic low rates. You can pay extra for even heavier bags if you need to, meaning you don’t have to leave anything important behind. Sendings bags ahead to your destination with My Baggage couldn’t be easier. You can simply start by obtaining an instant quote straight from our homepage. The quote will detail the total price of your shipment, as well as the estimated transit time. You’ll even have the flexibility to select your preferred collection date, so everything can be arranged to suit you and your travel plans. Then, once you’ve booked, we’ll send you some shipping labels to print and attach to your item. After that, we’ll take care of the rest! It’s that easy. With My Baggage, you can send your personal effects in suitcases or boxes, or even a mixture of both. If you decide to use boxes, we recommend investing in new, sturdy, double-walled cardboard boxes as they are most durable and suitable for transit. My Baggage’s convenient door to door baggage shipping service means that there’s no need for you to leave your items off at a drop-off point, nor will you have to venture out to collect them upon arrival. You can arrange everything to fit perfectly in with your travels. We collect your items from your front door and send them ahead to their destination. At My Baggage, we understand the apprehension that comes with handing your personal belongings over to a delivery driver. That’s why we make it our aim to provide a convenient and reliable baggage shipping service you know you can trust every time. When you book with us, we will keep you in the know from the moment you place your booking until the moment your shipment arrives safely at its destination. You will be given access to live tracking information which allows you to monitor the progress of your shipment every single step of the way. You’ll also be given the option to opt-in for SMS and email notifications to stay up to date on the go, even when you’re on your travels. Should you have any pressing questions or concerns along the way, our dedicated customer support team will be more than happy to lend their assistance. They are the experts in sending baggage ahead. You can contact them via phone, email and live chat. 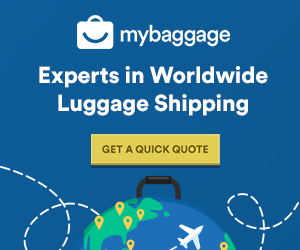 At My Baggage, our number one priority is keeping our luggage shipping prices affordable. In times gone by, shipping unaccompanied baggage overseas proved to be nothing but an expensive nightmare. At My Baggage, we are proud to say that we’ve broken the mould. We have negotiated fantastic low rates with our courier partners across over 1,000 routes, which we then pass on to you. And, we’re not just affordable – My Baggage offers value for money. You can send a HUGE 30kg/66lb box or suitcase. My Baggage’s convenient luggage shipping services are open to everyone! Whether you are a personal user, travelling to study abroad or simply to enjoy a holiday. No matter your reason, you can take advantage of our competitive pricing and door to door shipping.